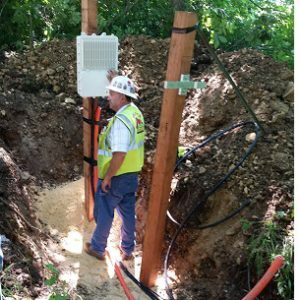 Construction is now under way to expand and improve broadband to 1,475 locations in western Kentucky. 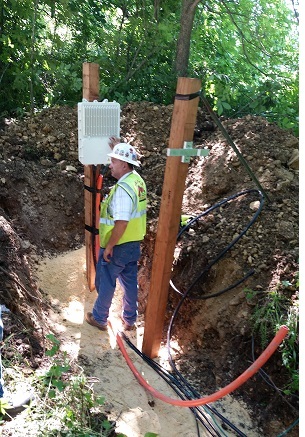 TDS Telecom (TDS®) began work in January in portions of Livingston County. Construction is expected to be complete in the summer of 2018 with final improvements done by year-end 2018. The Federal Communications Commission (FCC) allocated $2.2 million each year to reach residents in some of the hardest to serve areas in Kentucky. The funding will also be used to maintain a voice and broadband network as well as building out to these locations. The FCC’s Alternative Connect America Cost Model (A-CAM) will provide funding to 1,475 locations in western Kentucky with hundreds of additional receiving benefits from the network upgrade work. Kentucky residents can visit the TDS website (https://tdstelecom.com/networkupgrades.html) to find out how this federal program may impact their location. Depending on location, most TDS customers in eligible rural areas will receive broadband speeds of 25Mbps download and 3 Mbps upload (25/3). Under the agreement with the FCC, the remaining customers will receive broadband service at lower speeds of 10/1 and 4/1Mbps. “We are excited to bring faster connections to customers to portions of Livingston County,” said Bruce Mottern, manager – State Government Affairs at TDS. In January, TDS announced it elected to receive approximately $75.1 million a year to increase broadband access in 25 states from the FCC’s A-CAM, under the Connect America Fund (CAF) program. TDS will leverage the funds over the next 10 years to support the buildout of rural broadband networks to nearly 160,000 locations across the country. TDS has been doing business in Kentucky since 1988 and owns three telephone companies in the state. TDS employs 15 people in Kentucky. TDS Telecommunications Corporation (TDS Telecom/TDS®), a wholly owned subsidiary of Telephone and Data Systems, Inc., is the seventh largest local exchange telephone company in the U.S. and a growing force in the cable industry. TDS provides 1.2 million connections to high-speed internet, phone, and TV entertainment services in nearly 900 rural, suburban, and metropolitan communities. For residential customers, TDS deploys 1Gig internet access, IPTV service, cable TV options, and traditional wireline services. The company offers businesses advanced solutions, including: VoIP (managedIP Hosted voice), high-speed internet, fiber optics, data networking, and hosted-managed services. Visit tdstelecom.com or tdsbusiness.com. Headquartered in Madison, Wis., TDS Telecom operates OneNeck IT Solutions LLC and BendBroadband, which is part of TDS Broadband Service LLC. Combined, the company employs more than 3,400 people. Why am I not getting full 1 Gig? Will you be improving the poor internet in rural Maine. I had to go to a satellite company your service was so bad.